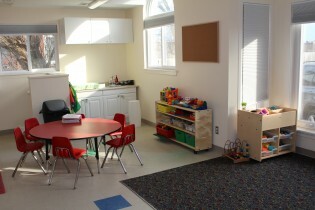 Operating in a modern, spacious and private free-standing building in the North West side of Oakville, Western Heights Montessori Academy Old Bronte campus has been serving the Oakville, Burlington and Milton communities since 2008. Featuring one Toddler and two Casa classrooms, our Old Bronte campus is well-known for our close-knit community and spacious nature-filled private playground. If you would like to experience our Old Bronte campus in person, please schedule a tour today!